The harbor here comes alive before dawn, as commercial fishing boats head out to harvest walleye, whitefish, northern pike and perch, plying the waters before winds kick up on 250-mile-long Lake Winnipeg. 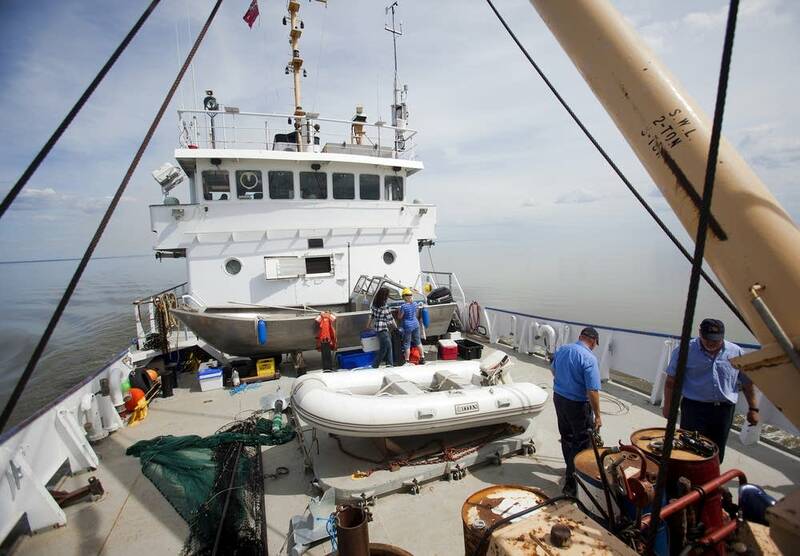 More than 800 commercial fishing operations take some 14 million pounds of fish from the lake each year, exporting much of it to the United States and around the world. 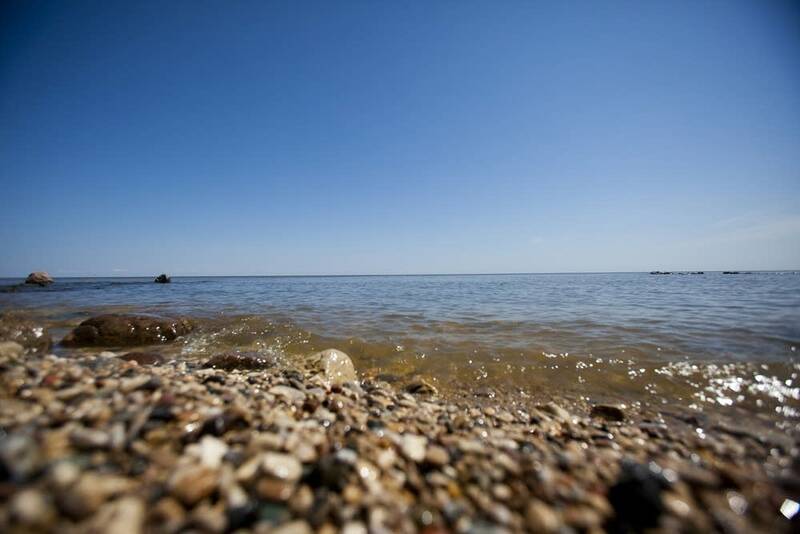 View a slideshow of researchers working to track the damage pollution has done to Lake Winnipeg. But a commercial fishing industry that has prospered for 120 years on the world's 10th largest freshwater lake is threatened by pollution, much of it flowing north in the Red River from Minnesota and North Dakota. The main culprit is phosphorus from both human-made and natural sources, and scientists say there are no easy solutions to the problem. State and international borders make it more complicated as farmers, fishermen and scientists alike try to save the lake. By midmorning, 76-year-old Robert Kristjanson and his wife are cleaning the morning catch in a small garage behind their house. They stand at a metal table surrounded by plastic tubs of fish. With precise movements honed from decades of experience, they quickly turn the tubs of fish into fillets. They'll end up with about 70 pounds of fillets vacuum packed, frozen and ready for market. Robert Kristjanson, a third generation fisherman who's been working on Lake Winnipeg for 61 years, first noticed water quality problems more than a decade ago. His fishing nets started coming up so full of algae he couldn't get them out of the water. Thick mats of blue-green algae can cover hundreds of square miles in mid to late summer before slowly sinking to the bottom. The algae blooms result from rising levels of phosphorus, most of it from the Red River. There's still a healthy walleye population in the lake, but Kristjanson worries it won't last if water quality doesn't improve. "How old do we have to get to stand up and say, damn it, there must be something in the water," he said. Manitoba researchers have been collecting data since 2002, using a retired coast guard ship to travel the lake. The first noticeable negative impact appears to be the death of small aquatic species in areas where decomposing algae uses up all the oxygen. Phosphorus levels have doubled, and researchers have found oxygen-depleted water over thousands of square miles, said Al Kristofferson, coordinator for the Lake Winnipeg Research Consortium. "What does that do to the creatures that live on the bottom?" Kristoferrson asked, standing on the bridge of the research ship Namao. "The big ones can swim away, the fish and the larger invertebrates, but the little ones can't ... If nothing is done it will become more widespread and that's how it will kill the lake." About half the phosphorus flowing into the lake comes from Minnesota and North Dakota, and agriculture is the biggest contributor, said University of Manitoba scientist Greg McCullough. Red River valley farmers grow soybeans, wheat and sugarbeets on some of the richest farmland in the world. Not only are people putting more phosphorus into the water from sewage, animal manure and farm fertilizer, McCullough said, larger, more frequent floods are efficiently flushing that phosphorus into the lake. "A lot of people 10 years ago would come to me and say, 'Well don't these big floods dilute all this?' They don't. They do exactly the opposite, they pick up more," McCullough said. Researchers are developing a computer model to help them predict the future and suggest when the lake could be overwhelmed by algae growth. Manitoba Water Stewardship Minister Christine Melnick says the problem has been developing for decades and it won't be quickly solved. But she says there is some urgency to fix it since it's not clear how much phosphorus the lake can handle. "I think we need to work as quickly as is reasonably and rationally possible," she said. "And make sure that what we're doing will be effective and make sure that we're coming at all the different angles that we can." Melnick says Manitoba has followed Minnesota in restricting phosphates in dish washing detergent, and limiting phosphorus in lawn fertilizer. Legislation recently passed in Manitoba will encourage farmers to plant more buffer strips at the edges of their fields to slow erosion, but researchers say those buffer strips won't stop much of the phosphorus leaving the fields. Melnick says the problem can't be solved without help from Minnesota and North Dakota. The governments are all discussing the issue, but each government monitors water quality differently, and sometimes studies of water quality in the Red River stop at the Canadian border. There are currently discussions between U.S. and Canadian officials about a common voluntary goal to reduce phosphorus by 10 percent. McCullough said that's a good start, but it won't save the lake. 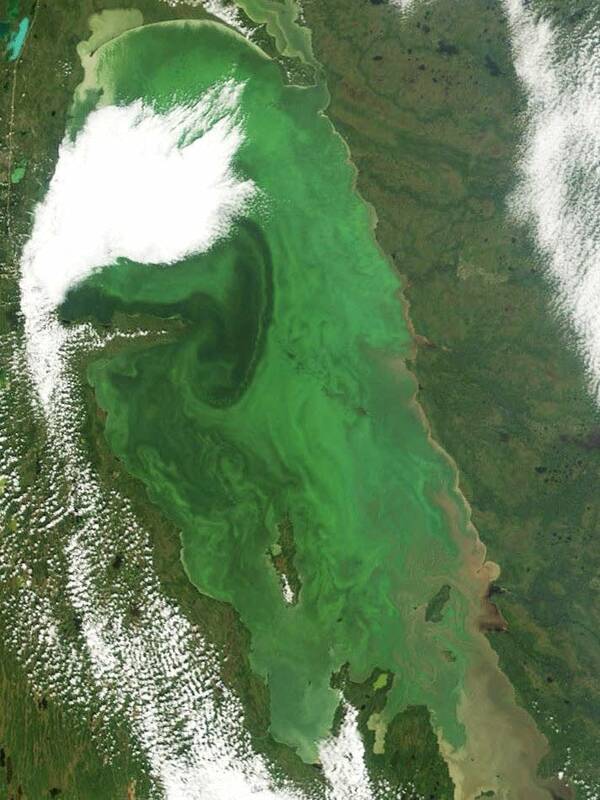 "The phosphorus concentration in Lake Winnipeg has doubled. Reducing it by 10 percent isn't going to do it. You've got to take a bigger swath out of it. To do that you've got to deal with phosphorus on the land somehow. Either with how much is put on the land as fertilizer or manure, or how it's put on the land," he said. And that leaves researchers with the daunting task of finding a way to slow the phosphorus washing off the land across the vast Red River Valley. Read part two of this series, which investigates the steps farmers and scientists are taking to limit the level of phosphorus runoff. Dan Gunderson is based in Moorhead, Minn.